Emjoi takes epilators to a new level with their Emagine Epilator, completed with a 72 tweezer head. While the price of the Emjoi AP-18 is higher than others on the market, you purchase one of the best epilators on the market. You’ll save time and money because it will stop you from having to seek professionals to remove all of your unwanted hair! You might feel skeptical because Emjoi has created a few other, less impressive epilators over the years. Don’t worry. Emjoi truly stepped it up with this epilator. We would hope so based on the price. The price is worth it! Let’s take an in-depth look at the Emagine epilator. What Do You Get with the Emjoi AP-18? The Emjoi AP-18 stands out in the crowd as a tiny, yet powerful, epilator that has 72 tweezers. The Emjoi epilator head has the highest amount of tweezers compared to other epilators, making it much more efficient at removing unwanted body hair. Also, the tweezers are on two opposite heads, which ensures they can remove the hair from the root. Removing body hair takes time, no matter what method you pick. Epilating isn’t as fast other methods, but it keeps hair away faster. The 72 tweezers on the Emagine means it will take you a lot less time than an epilator with only ten or 20 tweezers. We are all busy people, so the time-saving feature of the Emagine is huge. Plus, you can expect only to need to remove hair every six weeks! Due to its design, women will find that this powerful epilator is more powerful and less painful. Beginners might appreciate less pain since they aren’t used to the process of epilating. One of the interesting features is the middle lifting fingers that lift hair hairs so that it can remove hair as short as 0.5mm. This feature means you won’t need to do multiple passes and reduces skin irritation. The Emjoi AP-18 is corded, so you might have trouble taking it on the go. The corded feature might seem like a hindrance, but it prevents the epilator from losing its charge quickly and makes sure it always runs at full speed. Emjoi advertises that their epilator can be used to remove facial hair, like on your upper lip, as well as your arms, underarms, legs and bikini line. Users can appreciate the Silver Ion technology that provides antimicrobial protection. This feature also helps to reduce ingrown hairs. Overall, the Emjoi Emagine was created to be a powerful and efficient epilator, capable of removing short hairs and hairs of all textures. While you can’t use it in the shower because it is a dry only epilator, you’ll love its power. Works on facial hair, arms, underarms, legs and bikini line. 72 Tweezers: It’s more effective and covers a larger surface area at a faster pace. Dual-Opposed Heads: Will catch and remove more hair on the first pass as short as 0.5mm. Easy to Clean: Includes a cleaning brush and a detachable head. Glide Technology: Reduces skin irritation. Multiple Body Parts: Emjoi designed their epilator to be used on any part of your body that you want, such as your legs, upper lip hair, bikini area and more. Two Speeds: There is a setting for fine soft hair and a setting for rougher, coarser hair. Corded: Makes sure you never run out of power with an 8-foot long cord so that you can reach any outlet. Less Ingrown Hairs: The middle lifting finger on the epilator head helps to lift up small, flat hairs, which reduces ingrown hairs. One Year Limited Warranty: Covered for a year. No Light: A built-in light would make it easier to see the hair you want to remove. You have to use it in a well-lit bathroom. Corded: This is also a con because it has to be plugged in, so it doesn’t work well for on-the-go. No Included Trimmer: This is just an epilator. If your hair is longer, you need a separate trimmer to cut the hair first. Dry Only: You cannot take this epilator in the shower with you. Don’t use it with gel, cream or foam! No Receptacle: The hair you removed isn’t trapped anywhere and simply falls to the ground. No Facial Cap: Because this epilator can be used on facial hair, a facial cap would’ve been a nice feature. It would’ve reduced the pain and give smoother results. Price: The Emjoi AP-18 is more expensive than other choices. 72 tweezers, which is the most on the market! Can I Really Use The Emagine Anywhere? Emjoi claims the Emagine can be used on your bikini area, underarms, legs, airs, and facial hair, such as your chin and upper lip. Other companies say the same thing, but they are rarely accurate with their claims. If you read several Emjoi epilator reviews, you’ll see that these claims for the Emjoi are accurate. If you want to use it on your face, you do need to make sure to position the epilator correctly, so the head makes direct contact with your face. You only need one of the heads on your face. Don’t expect to do shaping work. Your eyebrows need another tool with more precision. In general, small epilators are better suited for facial hair. The size of the Emagine head makes it better suited for larger parts of your body, but you can use it on your face without concerns. How Painful is the Emjo AP-18? Removing hair from the root isn’t going to tickle. Beginners should expect some degree of pain when using an epilator for the first several times. In our Emjoi AP-18 review, it is noticeable that this epilator is less painful than other choices. The 72 tweezers spin so quickly that it makes it less painful than the cheaper choices. Cheap epilators tend to yank and pull a lot. If you’ve used other epilators, you’ll quickly notice this one is less painful. Expect some noise, which can be expected with any of these tools. What Should I Do Before I Use the Emagine? Before you use the Emjoi Emagine, you should do a bit of prep work. The first step is to take a shower or hot bath. Doing so opens up your pores, allowing the hairs to be removed easier and with less pain. Always make sure that you pull your skin taut in the area you are using the epilator. While the design of the Emagine helps to tighten the skin a bit, don’t skip this step. Taut skin means the epilator can make better contact with short hair. What is the Process of Using an Epilator? You can move the epilator in circles or small strokes over the area you wish to remove hair. Expect to have to make a few passes over the same area. However, the Emagine does a much better job at removing all of the hair on the first pass. The best results come from small circles going in the direction of hair growth. You might be tempted to rush, but your results won't be as nice if you do. My Hair is Breaking, Not Removing. Why? If you notice the hair is breaking but not being removed from the root, chances are the speed setting is too high. Switch to the slower speed and make sure you go in the direction of the hair growth. ​Can It Run on Batteries? No, the Emjoi is a corded only epilator. Some epilators allow you to use both batteries and a cord, but not the Emjoi. However, this epilator is so powerful because of the 72 tweezers it would drain the batteries very fast. A cord keeps a consistent power level, so you don’t have to worry it’ll lose power before you finish your legs. Can I Use It for Any Type of Hair? Yes! The Emagine works on all types of hair. It works perfectly on coarse and normal hair. You might have some struggles with fine baby hair, so you might have to make a few passes. Is Cleaning the Epilator Easy? Yes! Emjoi includes a brush that you use to clean the epilator. The head is detachable for easier cleaning. You brush the head to remove any hair. 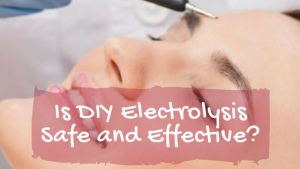 However, there is nothing inside of the Emjoi that catches hair, so make sure you epilate over a towel. Despite the higher price of the Emjoi Emagine, the efficiency of the epilator make it worth the price. It has the highest amount of tweezers on any epilator on the market. That means you can expect for it to take fewer passes to remove all of the unwanted hair. Plus, the dual-opposing heads makes the process less painful and less likely to miss hairs. Anyone can benefit from this impressive epilator. A newbie will how easy it is to use and to clean. An experienced epilator will love the reduction in pain and amount of passes needed to make. Everyone can enjoy six weeks of hair free time! Overall, the Emjoi AP-18 is as amazing as the company tells us!